Sailing is a skilled activity, ruled by the weather and the tides, it presents new challenges everyday and can take a lifetime to truly master. It is therefore essential that beginners undergo training before taking to the water. Nevertheless sailing has an easy level of entry and under professional supervision novices can pick up the basics in a few hours and be cruising across the water in a week. The first steps in learning to sail should be taken through a sailing club or a commercial sailing school offering Royal Yachting Association (RYA) approved courses widely regarded as the best in the world. For beginners impatient to get out on the water in their own craft, dinghy sailing is an ideal entry point. Dinghy sailing, as well other daysailing activities, offers a simple and cost-effective introduction to sailing and one that will provide the core skills for all wind-based activities. RYA’s National Sailing Scheme is a standard series of two-day courses for those wanting to learn in daysailers such as dinghies, small keelboats and multihulls, and is taught in sailing clubs and academies nationwide. Its basic levels 1 and 2 are often combined into a week long course and by the end of which beginners will be able to sail in all directions in light winds under supervision and have a clear understanding and experience of launching, rigging and capsize recovery. Further courses give the novice sailor the confidence to sail independently and solve problems and handle their boat in all conditions. Once a sailor has mastered the basics there are extension courses for more specific sailing pursuits such as club racing, sailing with spinnakers or kites and performance sailing. There is also a Youth Sailing Scheme for those who can’t wait until they are sixteen to get out in a sailboat. The RYA yachting programme offers a series of practical courses complemented by navigation courses and other specialist short courses. These programmes can be used as a way of increasing experience or as a way of progressing to the RYA/MCA Competence Certificates. These certificates are recognised by maritime authorities all over the world. Beginners can take a two-day introductory course to sail cruising, where they will experience steering a yacht, sail handling, ropework and be introduced to the importance of safety on board, as well as a week-long Competent Crew course, where they learn about being an active crew member on board a yacht. Progression from these foundations can lead to specialist courses in becoming a day skipper and a coastal skipper. Academies such as the Cowes-based non-profit UKSA, offer standard RYA-approved courses in a fully immersive environment for those wanting to focus on their sailing study without distraction. Course prices include full accommodation and food, which in the case of the yachting means nights spent on board ship. Academies also include a range of facilities including state of the art lecture theatres and classrooms for theory study and gyms and swimming pools for improved fitness and stamina. Prices start at £180 for the full-board Start Yachting Weekend and go up to £510 for the Yachtmaster and Coastal Skipper four-day full-board course. 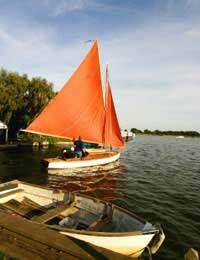 For those wary about beginning their sailing experience in the unpredictable and sometimes inclement weather of British waterways then holiday sailing is proving to be a popular alternative. There are many companies across the internet offering summer holidays with sailing lessons in the warm waters of the Mediterranean or Caribbean included. The rewards of sailing are vast and life-enhancing, but of any boating discipline sailing is the one that benefits the most from training, experience and the interaction with other sailors in achieving those goals. A sailing course is therefore the first step on a life of new adventures. Lots of questions answered, great site ! !.